Rare 3.18 acres of prime close-in West facing terraced & improved land w/city/lake/sunset VIEWS. Huge dev opportunity up to 15 luxury houses, townhomes/BCC College dorms w/PUD, light industrial, school & churches. One acre grandfathered as commercial, backs to BCC & sided by newer homes & townhomes. Zoned res (R5 previously zoned R10), currently used as tow/storage yard. 35’x85′ alum building & newer office trailer. Power/Water/Sewer on the property. BOMK Buyer never performed Feasibility Study. Directions: From 405 take 8th St exit East, turn right on Lake Hills Connector, slight right onto Richards Rd, Left onto SE 26th St, Continue onto Kamber to address. 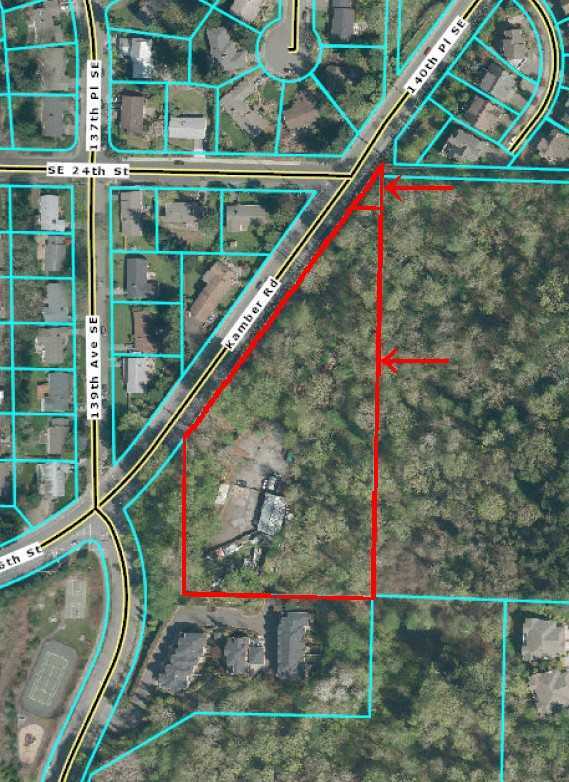 Please, send me more information on this property: MLS# 600005 – $6,500,000 – 2457 Kamber Rd, Bellevue, WA 98007. I would like to schedule a private showing for this property: MLS# 600005 – $6,500,000 – 2457 Kamber Rd, Bellevue, WA 98007.